NB Networks Group - News • NB Networks - wir vernetzen Wissen. News about Sustainable Leadership - delivered to your inbox. Today we are pround to announce that NB Networks will become a PLC which has already been planned since a long time. The company NB Networks e.K. continues it's business, all contracts will stay the way they are due to the fact that both companies are strictly seperated from each other. Today NB Networks opened new locations in Berlin, Stockholm, Baner/Pune, Wroclaw and Hong Kong. We will continue to strive for expansion in 2013 and are looking forward to our national and international projects. We thank our clients for making all this possible. In 2012 NB Networks plans to open additional multiple locations - nationally and internationally. More news will be published here soon. On October 18th the EXPERT EXPRESS will take place in Munich, Germany. During this event international top speakers will presenting different speeches about sales and leadership. Prof. Dr. Niels Brabandt is one of these selected speakers. For our international guests we have access to a limited amount of free tickets. Do not hesitate to contact us to receive one of these. We are looking forward to seeing you in Munich! September 10th has been the date of the INTERNATIONAL SPEAKER EVENT in Munich. Five carefully chosen internationally successful speakers presented different topics. Prof. Dr. Niels Brabandt was one of them and his topic “Leaderships 2.0” received that many positive feedback that it will be available on DVD soon. Due to his participation at the INTERNATIONAL SPEAKER EVENT, Prof. Dr. Niels Brabandt has been interview by the leading german Portal for medium-sized businesses. You may see the German interview here. (automatic translation may be seen here). Having successfully finished an international Office Migration project is one of our next news of success. Having received the task of completing all technical and educationals aspects during this international project we not at the end received an evaluation of 9.91 on a 10-point scale concerning the performance of our trainers and consultants. Of course we help you as well with your projects so do not hesitate to contact us at any time. Continuing the success story of 2011 we now again opened new locations in our course of expansion. With opening new locations in Hamburg (Millerntor), Berlin (Kurfurstendamm), Paris (Bourse), Edinburgh (Conference House) and Shanghai (One ICC) we are now even more present for our clients and their projects. Our activities in cooperation with the Academy for neuroscientific educational management will now go international. The expansion will start in Spain and the United States of America soon. We will keep you updated with new events soon. Again the service of Prof. Dr. Niels Brabandt and NB Networks have been rewarded. The international education portal SEMIGATOR as well as the newspaper CREDITREFORM have recently published new recommendations. We thank our clients for their positive feedback – we are looking forward to continuing our cooperation. The German newspapers HANDELSBLATT and WIRTSCHAFTSWOCHE are seen as the leading publishing media elements in the german-speaking economical area. They are the most proactive paper on the market concerning the discovery of trends, tendencies and markets. NB Networks has now been recommended not only by the HANDELSBLATT and the WIRTSCHAFTSWOCHE but in addition to that we have been listed in the BEST OF listing or SEMIGATOR – the leading portal for best training quality. This means to be listed in the highest category possible. The owner of NB Networks, Prof. Dr. Niels Brabandt, is listed personally with an own page there, too. We thank all our clients who made this possible. We are looking forward to continuing our successful cooperation in the future. For NB Networks the topic of sports always has been important. In this year again we support different sport teams and events to emphasize our engagement here. During his speech for a club jubilee the leader of the northern referee federation underlined that with Prof. Dr. Niels Brabandt an important supporter and sponsor with high reliability has always been available. We will of course continue with our support in these areas during the next years. Additional expansion made it possible to again open new offices around the world. The newly opened offices in Hanover, Bangalore and Singapore assure highest quality of all our fully sustainable, flexible and high quality services. On may 18th, 2012, the german leading econimical newspaper HANDELSBLATT again recommends the services of NB Networks and especially Prof. Dr. Niels Brabandt as speaker, trainer, consultant and coach. This is the second recommendation of Germany’s most important economical newspaper. Partners in the area of highest excellence have always an integral part of our portfolio. We hereby announce that Prof. Dr. Niels Brabandt officially signed a cooperation with one of Europes most important speakers agencies. SPEAKERS EXCELLENCE is known as the most important speaker agency in Germany, Austria and Switzerland. We are looking forward to starting our cooperation from today on. The growing need for special events in training, coaching and consultancy has led us the way to new developments. Throughout this process three completely new events have been created, all of them positioned in the business premium segment. All these format may be realizes without any special preparations. Our planning offices will organize anything for the guaranteed success of your events. In the course of continual improvement NB Networks now takes next steps. From this day on any supplier will only be listed as long as he is dedicated to the FAIRTRADE agreement. This assures fair trade and fair payment for all participants in any process. This again underlines our focus on sustainability. As motivational speaker Prof. Dr. Niels Brabandt already has shown his performance nationally as well as internationally. During his action as a speaker, his trainings, workshops and coaching he has proven and shown how everyone is able to cross his own limits for greater performance. He will now again prove this with a new challenge he has just confirmed. Today Prof. Dr. Niels Brabandt announced that he is a confirmed participant of the Marathon des Sables. This marathon takes place in the Sahara over a distance of 250 kilometers. The Marathon des Sables is known to be the hardest marathon in the world. From a 5-digit number of participants about 800 applicants are confirmed to take part – less than a third normally reach the finish line. This marathon will take place from march 5th until march 15th 2013 and will be divided into 6 major checkpoints during the race. A Live Blog will be available so you will be able to follow the course of action on this website during the whole race. After numerous years of interaction which have already taken place Prof. Dr. Niels Brabandt has now been assigned as expert member at the Academy for neuro-scientific education. This again underlines our expert status on the market. Moreover NB Networks continues to invest in the scientific foundation of all our services which nevertheless stay as practice-oriented as possible. This assures the best balance between science and practice and as well emphasizes our focus on the maximum benefit and value for our clients. A new product line in this area will be launched soon. In the course of ongoing expansion we now opened our logistics competence centre in Cologne. This assures all processes concerning the global delivery of our services. Our international staff on site is from now on responsible for all actions in this area and is looking forward towards the next stages of growth. After being listed in leading speaker communities for our sustainable quality and customer satisfaction we are now already in the course of additional negotiations with leading speaker communities in the European and worldwide area. News will be announced here soon. There are only a few closed Speaker Communities which extremely watch out for best quality of their members. One of them is the German Speaker community of VORTRAGSREDNER.DE in which Prof. Dr. Niels Brabandt is now listed. Moreover he has been awarded as “Expert Member 2011/2012”. Besides being present in the community he will publish professionell articles during the whole year. We thank all our clients for their trust and we are looking forward to continuing and intensifying our cooperation. The new year again sets all trends in the direction of continuous growth. In the cities of Berlin, Cologne and Vienna additional offices have been opened. In addition to that new locations in Sao Paulo (Brazil) and Guayaquil (Ecuador) have been opened in course of our new project businesses. Additional opening are already planned. Our national as well as international experts are well-known to a large number of clients. This may be one reason why one of the largest national and international publishing companies of Germany decided to deliver their ITIL project with us. The whole project will deal with implementing the processes in consultancy as well as delivering the knowledge to the employees and clients. At the end the latest up-to-date knowledge of the ITIL framework will be taken into practice. If you need any help in training or consultancy please do not hesitate to contact us. Every year national and international experts meet on the fair named DIDACTA which takes place in Hanover. This fair is an important milestone for all developments in the area of knowledge transfer – nationally and internationally it is the most important fair of the year concerning this topic. New developments, innovative access to knowledge transfer as well as an international exchange of numerous experts took place during one week. The whole management team of NB Networks visited the fair during this year to be up-to-date to latest developments of scientific and practical research results. Of course NB Networks will be present at the fair DIDACTA in 2013 as well to sustainably assure highest quality of all services delivered. The demand for expert knowledge is without any doubt constantly growing. Professional support becomes very important not only during the first phase of the project or training but throughout the whole process from beginning to the final review. We expand our services by the service of the EXPERT CALL. This means that our support for you is not only delivered by your competent Account Manager. In addition to this our team of Experts are available to you at any time. This service is of course free of charge and is available globally 24/7 for any kind of topic offered within our portfolio. Requirements for Learning are more and more demanding. Especially the factor of flexibility in content, time and place became most important. Our research department is constantly working on innovation in these areas to be able to support best services at any time and for always being ahead of the market. Our innovative concept of LEARNING UNITS now makes us able to deliver any kind of training and / or consultancy in small units of 45 minutes. Most companies only offer trainings which is in most parts delivered by standardizes videos. This is not the case in our concept. Any training is delivered by a real person and subject matter expert. Learning Units are available worldwide so please do not hesitate to contact us with your project and / or training need. Today Prof. Dr. Niels Brabandt has been informed that the Board of Directors announced him as a new member of the GSA – the German Speakers Federation. The GSA is the worldwide most important federation of professional speakers, trainers, coaches and consultants. Guest speaking visits in Indianapolis and Vancouver are already planned. The GSA is a member of the GSF – the Global Speakers Federation – which is the worldwide governing body of all speaking organizations. Moreover there are numerous cooperations with all global speaking federations. This membership is the next step in the continual improvement of our services which already have the highest quality standards. Numerous trainers, speakers, consultants and coaches already are highly demanded experts – nationally and internationally. “We are very happy about the membership and we are looking forward to being an active part of the GSA. Especially the very high standards of quality and the very strict criteria for new member for getting access to this network of professionals underline exactly our expectation in respect to quality. We are sure to set our own very high quality standards to an even higher level than before.” said Prof. Dr. Niels Brabandt after receiving the news. We are happy and proud to announce that this years charity event again has been a great success. Thank you very much to all clients which again actively participated in generating this massive success for those who are in need of our help. Once more numerous project around the globe have been supported. In 2012 NB Networks will again actively participate in social activities. Throught this means we underline year by year the importance of sustainability in our corporate culture. The whole team of NB Networks wishes you a merry christmas and a happy, successful as well as a healthy new year 2012. We are looking forward to continuing and intensifying our cooperation. As already announced before our plans of investing again in expansion during 2011 have now become reality. Investments in important and emerging markets have always been an important aspect of our sustainable market access. Today we opened two new location in Slovenia - in Lubljana and Zagreb. With these new locations two new important areas of the European Economic Area have been made accessible to our clients. In both cities we have again opened in central places which are accessible very well for clients who already booked our services here on the day of our opening. Our way of expansion will continue in 2012. New openings and additional expansions are already planned. After the second edition of all books has been pre-ordered all books have been sold out. This has been the reason why it has been decided to publish a third edition of all three book from Prof. Dr. Niels Brabandt. This time all three books – even the shorter studies – will be available as eBooks. From now on all readers may choose between the printed or the electronic version. Edition number three will be published within the next four upcoming weeks. Of course all clients of NB Networks will still be able to order the book for a special price via their Account Manager. Once more NB Networks has become RECOMMENDED PARTNER by the international renowned portal SEMIGATOR. The sustainable delivery of highest quality and the high level of customer satisfaction are only two reasons to mention as well as our loyal clients which all have ordered again numerous times. “In the future our focus will stay on best quality. The name of NB Networks stands for best quality and fast growth. Our fast growth shows us that the decision to go this way has been correct” said Prof. Dr. Niels Brabandt after receiving the award. NB Networks has again opened new locations. In Cologne at the Kranhaus and in Berlin at the Brandenburger Tor two high-class locations has been added to our global network. This is the reaction to our ongoing fast growth which assures that we adequately adapt our capacities to the client’s needs. Especially in metropolitan areas growth tendencies are extremely strong. Ongoing expansions for 2012 are already planned – we will keep you informed which locations will be opened next. Sustainability has always been extremely important for NB Networks. In his different functions Prof. Dr. Niels Brabandt has always seen aspects within organization where immediate action should be taken. We ourselves will serve as an example in how to perform sustainability and since ever NB Networks emphasizes it’s action to only publish via partners which are officially certified by the FSC. This is a long-term commitment by NB Networks. “Sustainability always matters for us in any action taken. Sustainability it the key to handle limited resources in a responsible way. We are very proud that we are able to deliver an important contribution and hope that numerous organizations will follow and take this step.” said Prof. Dr. Niels Brabandt directly after the decision. Beginning today NB Networks again expands its Learning media portfolio. With this expansion numerous different possibilities of learning media are available. These do not only consist of classic ways of learning but also deliver possibilities and opportunities in the most modern mobile ways possible on the market. This means that from now on all services of NB Networks are available globally and fully flexible at any time tailored to any specific need. Your personal Account Manager and his professional advice will help you to find the best solution for you in your concrete situation. We are looking forward to hearing from you and if you have any questions please do not hesitate to contact us. Beginnin today NB Networks closed a contract with an international leading federation of retailers in the areas of Business Process Outsourcing, Digital Printing Equipment and Document Management. This contract covers training, consultancy and services in all needed areas of the business. Moreover not only classical topics in the areas of soft, business and people skills are delivered. In addition to these topics aspects as Social Media Marketing, Web presence, client acquisition and much more are available. "This agreement is the foundation to be the number one training provider for all local businesses of this federation. With training and consultancy we will be able to not only support topics like Microsoft Office or Soft, Business and people skills but as well more specific topics with tailor-made solutions. Our wide presence of national and international locations assure the highest possible standard of quality which is an advantage for all members. The Account Manager for all partner will be Andreas Kaschulla who took important initative and contributed decisive parts towards the signing of the contract." said Martin Baschulewski, CSO of NB Networks, after having signed the agreement. The demand for non-core skills in management training and consultancy is following a continuous trend of growth. Numerous trainings and projects have already been successfully conducted and finished. A direct reaction to this need is the growth of our management training are towards new skills. Besides the aspect of strategic management (which contact leadership theories in theory and practice as well as knowledge of all needed key management ratio) the aspects of Marketing, market research, PR and recuiting show the strongest trends of growth and become more and more important. "With expanding our portfolio we show an immediate reaction concerning a strong trend on the market. Special thanks to our clients who act exemplary proactive in these areas." said Prof. Dr. Niels Brabandt after successfully enhancing the portfolio. During this month NB Networks trained numerous leaders for Assessment Centers as well as delivering Assessment Centers to clients as well. Starting in Bremen via London to New York City - the demand for both services is seriously increasing. The size of companies reached from mid-sized to large enterprises. Special trainings are the best preparation for leaders to succeed in the competition of an Assessment Center. Of course the whole delivery of an Assessment Center in highest quality and tailored to company's needs may be done by NB Networks as well. "Choosing the right leaders becomes more and more difficult - especially in international or multi-cultural contexts. Most companies take professional help in addition to their internal evaluators to receive a neutral perspective on their candidates" said Prof. Dr. Niels Brabandt after his return. We are loooking forward to receiving your request - we support you at any time. After already been online in social media networks for numerous years our presence has been expanded. The business area of social media training and consultancy is growing constantly which of course meant for us to again put additional resources into this area. On all core areas of the social networking world we are present with our own channels, videos and news. We are looking forward to receiving new followers. Any feedback is of course always welcome - do not hesitate to contact us at any time. Today another leadership track has been finally finished. The client satisfaction rate again was one hundred percent which shows us that the sustainability of our way and the approach taken has again been exactly right. During this track 160 new and existing leaders in 12 locations were trained, coached and consulted in Germany, Austria, Switzerland, Liechtenstein, Great Britain and Ireland. All of these leaders already have signed long-term contracts with their company to be an active part of designing and steering the future of their enterprise actively and with the highest amount of personal participation possible. We are looking forward to receiving your tasks and request and of course we available with our help for you at any time. Sustainability in Leadership is not only a strong focus of our scientifical work. It more more than ever an active and livinig value within the company. Under patronage of Dr. Ursula von der Leyen (federal minister for work and social aspect in the federal republic of Germany) the initative named FAIR COMPANY has been founded. This initiative focusses on leadership and the social aspects of how to handle new employees, graduates, applicants, internships, student apprentices and temporary personnel. This initative has moreover been supported by Wolfgang Clement (former prime minister of North-Rhine Westfalia and federal minister for economics and work), Franz Müntefering (former vice-chancellor) and Olaf Scholz (Major of the Free and Hanseatic city of Hamburg). NB Networks has now been officially awarded for sustainability in these areas of business. We are very proud of this and it shows us that the direction we have taken is the right way. We are of course continuing to strive for even more excellence in these important areas. "Being fair and open with each other is an important value - not only in society but as well in any business context - especially in nowadays times." said Prof. Dr. Niels Brabandt, owner of NB Networks, after having received the award. Due to the increasing demand the contents of our Management & Expert Track again have been extended to a new level. Meanwhile new content is available to all interested customers. Thematically the most important core areas of management skills are covered in an even more intensive approach. This secures that our expert knowledge will sustainably remain in the top-level area of management training and consultancy. IT experts in the area of the de facto standard ITIL this is a serious problem. We now solved this problem. The whole area of ITIL training tracks is now offered in different time scales. Nevertheless a maximum of practice transfer is guaranteed while the absence from work is minimized. We are looking forward to offer you a tailor-made package which exactly fits your personal needs – ask you account manager for details and special offers today. Since founding of the company an essential value of NB Networks has always been to provide sustainable leadership. Under patronage of Dr. Ursula von der Leyen (federal minister for work and social aspects in Germany) the initiative FAIR COMPANY has been startet. Of course NB Networks support this initiative with strong commitment. Fair Companies do not replace full-time positions with (student) apprentices, internships, guest students or temporary staff. Fair Companies do not put off academic applications with offering of internships. Fair Companies bait trainees with a vague possibilities of full-time employments. Fair Companies offer internships with the primary focus or job orientation during the educational phase. Fair Companies pay adequate expenses. With this initiative the sustainble approach of leadership with NB Networks has again been underlined. We hope that numerours organisations will join. designed kind of training. Meanwhile we offer a special package which combines language and intercultural training together. Of course both kinds of trainings will still be available separately. With any kind of needs you may have in one or both of these areas: please do not hesitate to contact us at any time. 2012 in all our business areas. agenda for 2012. Details will be announced during the first quarter of 2012.” said Prof. Dr. Niels Brabandt. After having just opened the new location "Zeltner Eck" in Nuremberg we are proud to announce to open two additional locations within the next weeks. In Hamburg we are going to open an additional location in the center of the city which will be located at the "Neuer Wall". In Frankfurt the location named "Frankfurt Lighttower" will be another hotspot for highest business quality training and coaching and consultancy. The continuous growth in demand gives us the opportunity to announce that we plan to open additional locations during this year. With publishing his new german book / official study named "Die Auswirkungen von Führungsstilen: Eine Studie mit Organisationen der Größenordnungen kleinerer und mittlerer Unternehmungen (KMU) bis zum multinationalen Großkonzernfirmennetzwerk (Konzern)" the fourth book from NB Networks written by Prof. Dr. Niels Brabandt has already been published. On the first day the full first edition has been sold out. During these days the second edition has been printed and gets into the markets. The book is available from all known book sources. As a special feature the book will also be available in all eBook formats and will as well be listed in all worldwide known eBook-Stores. "For us it is very important that the content of our classes is more than just general knowledge. Many other companies still deliver free content which has never based on scientifical knowledge. For us it is standard to only allow highest quality in science and practice to be delivered to our clients to secure the best transfer of scientifical and practical knowledge." said Prof. Dr. Niels Brabandt on the day of publishing the first edition. For clients and interested people the book is available for a seriously cheaper price. Do not hesitate to contact us for your personal book or questions you may have at any time. During this month NB Networks will successfull finish an international Leadership project with an international enterprise. The project which took place in whole Europe focused especially on leadership skills. The experts will now be able to take over leadership tasks in addition to their management role. During the process of this Management & Expert-Track the enterprise already signed a 3-year-contract with NB Networks. This contract does not only contain Soft, Business & People skills but IT and language trainings as well. Additional upgradings in this cooperation are already planned. For the third year in a row our growth rate in percent shows a double digit number and a clear trend to grow even further. This is an important sign that our way of business has found high acceptance on the market. The demand for additional growth is high. During the further expansion NB Networks today starts the next part of an international Recruiting Campaign in central Europe - focusing on the german-speaking areas. In Germany, Austria, Switzerland and Liechtenstein we offer new job in the area of sales. In our category "Job and Career" as well as on our website http://jobs.nb-networks.com you will find additional information. If you like to apply we are looking forward to receiving your complete materials via e-mail to jobs@nb-networks.com. "Our growth rates in this area are more than excellent." said Prof. Dr. Niels Brabandt directly after the Opening of the new location of Nuremberg - Zeltner Eck. Out networks of present locations is now even tighter than before. This guarantees an even higher standard of quality in delivery of our services. In addition to this opening of a new location we plan to increase the number of employees in this area. A new recruiting campaign for this will start very soon. Caused by the continuous growth our the last years the need for a new headquarter with perfect connections to any kind of infrastructure became immanent. Today the new headquarter has been opened so that business procedures will be in place starting April 1st, 2011. The new address in the Einstein-Palais at the Friedrichstraße in Berlin is a well-chosen, adequate, well-connected and representative location for the new company Headquarter. Due to our continuous growth we today opened 11 new offices which are in business beginning today. Besides three new offices in Berlin we additionally opened new locations in Dusseldorf, Frankfurt, Hamburg, Hanover, Cologne, Nuremberg, Munich and Dresden. "Our growth shows a very strong tendency which will definitely lead to additional openings and a direct need for new staff in the near future." said Prof. Dr. Niels Brabandt after the opening. All locations of NB Networks you may see in the area of "NB Networks Locations" on this website. We are happy and proud to announce that our provided Tool named KNOWLEDGE PULSE (Research Studio MicroLearning) has been nominated for the "Innovation Award IT 2011". The Jury ranked this tool, which sustainably works with scientific learning knowledge of the newest generation, within the Top 3 IT solutions in the area of E-Learning. KNOWLEGDE PULSE supports the MicroLearning Process with minimum investment of time and effort even during the daily working business. "Our strategic focus on the market is right - this has now again been officially confirmed" said Prof. Dr. Niels Brabandt after announcement of the nomination. Due to our continuing growth we are happy and proud to announce that we managed to again grow our sales team in various areas. "As the CSO of NB Networks I am more than proud about this development. It is nothing else than just a logical step to grow our sales team further. During the first quarter of this year we successfully hired new Account Managers which bring our high-quality products sustainably to the client. Of course we will continue to grow our sales team to always be available concerning all needs of our clients. For this we of course need additional sales staff in the whole german-speaking area." said Martin Baschulewski directly after having finishes the successful recruiting process. In the largest newspaper of northwest Germany, named NWZ, on februar 11th, 2011, Prof. Dr. Niels Brabandt has been interviewed concerning the actual non-performing situation and results of Germanies referees in the professional soccer leagues. As Management-Trainer (with focus on Leadership and Motivation) as well owner of a soccer referee license himself he was able to give deep insights into his opinion about the situation. The whole article of him may be ordered for free - please just send us a short E-Mail to: info@nb-networks.com! This article shows that the knowledge of NB Networks is demanded also plays an important role in different areas than our core business. The areas of soft, business and people skills are important in many organisational aspects. "I am in the position of being the owner, CEO of my company as well as an active Management-Trainer in business. Throughout this article I want to stimulate the dialogue between the DFB, it's national and regional associations as well as the clubs themselves. The situation at the moment is dissatisfying for anybody. I am looking forward to hopefully having active action from all participating parties so improve the actual situation in respect of a win-win situation." said Prof. Dr. Niels Brabandt after the article has been published. The topic of "Social Media" is becoming more and more relevant for organisation of any size. We are happy and proud to see that a strong raising number take our knowledge for training and consultancy. In 2011 more than ten organisations already booked our resources for training and / or consultancy. The main target of these project is to align to the quickly changing and emerging as well as developing markets in addition to the goal of maximizing the profit possible throughout this means. A high amount of companies meanwhile use our consultancy and trainings resources in a high frequency. Of course we also would like to help you in this area - if you have any questions please do not hesitate to contact us at any time. 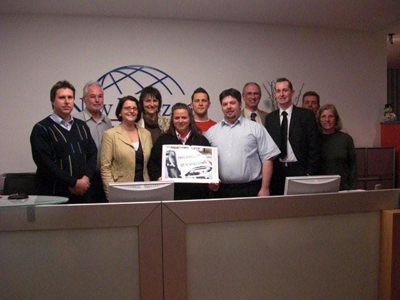 In Frankfurt and Dusseldorf we faced an enormous amount of growth since numerous years. To be able to react adequately toward the ongoing growing demand for our services we opened two new locations at the beginning of this week. The locations Dusseldorf - Hafenspitze (Harbor area) and Frankfurt - Skyper Villa are opened from now. These locations now are available for all trainings, coachings, consultings and all other varieties of our services. At the beginning of december NB Networks has sent Christmas greetings to all our clients. Since the company has been founded we do not send any presents but therefore we support the initiative DOCTORS SANS FRONTIERES. This year we additionally called for re-sending the christmas coupon back to us to help CARE initiatives. The return of coupons has been so overwhelming that we now even exceeded all projections. This of course means for us that we are going to support a third project to send help all around the world where it is needed. We already support an educational initiative in Nicaragua but now in addition also will support the new building of a school in Tanzania. NB Networks says THANK YOU to all or our clients for their active support. After a very successful year in 2010 the whole company of NB Networks with all employees have been invited to join for the KICK OFF 2011. Here we did not only review the successes of 2010, we also proactively communicated the objectives for 2011 with providing the highest amount of transparency possible. We are happy to see that the data and evaluations provided by our employees has shown the the trend will lead us to a growth of about +40% in 2011 which overperforms all our expectations. The owner and the management of NB Networks thank everbody in our great teams for all our successes - we are looking forward towards 2011! In the course of immense expansion and success during 2010 we already announced that in 2011 this trend will continue and even increase. The demand for new employees is high so the Owner and Management of NB Networks now announced to even create more jobs. Up until now planning has been made to offer 70 new jobs in the areas of training and sales. This number has now been increased to 140 new jobs available from now on. We are looking forward to receiving applications at any time. Due to the fact that expansion in 2011 will continue the management of NB Networks sees an important point in having the opinion and rights of their employees represented with a strong voice. A major objective therefore has been to launch a staff council before the end of 2010. We are proud to announce that from this moment Mr. Marcel Lehrmann will be the Chairman of the staff council at NB Networks. "The fact that the management of NB Networks has seen this objective as so highly important makes us very happy. The very open and proactive communication will lead to an even greater success in 2011 that we already had in 2010" said Marcel Lehrmann after having been assigned. Due to the immense need for new locations in the course of expansin NB Networks has now opened two new business locations which may be used from today. Hamburg-HarbourCity has been opened at the famous Kaiserkai. In addition we opened a new location in the City center of Berlin, named Berlin-Stadtquartier/City in the well-known premium business area of Friedrichstrasse. We are looking forward to welcoming you in our new locations. Developments during the last years have shown that immense expansion takes place. Management now has decided that this tendency will also have impact on new job positions at NB Networks. During 2011 NB Networks plans to offer 80 new jobs positions on the market. Besides Sales we offer jobs in training and consultancy. Especially the areas of Soft, Business and People Skills as well as any area of IT will be offered. If you are interested in a position please do not hesitate to contact us. Job descriptions you will find in the job segment of our website. If you have any question you may of course also contact us directly. We are available 24/7. The decision has been made today. NB Networks will be the single training and consultancy partner for a leadership project which will take place on a national and international basis. This project will be done with 120 students in Europa, Asia and the USA. Again the ability to deliver international solutions was an important factor when the decision which partner to choose has been made. From today you find NB Networks on the largest fair for Human Resources - ZUKUNFT PERSONAL 2010 in Cologne. You find us in hall number 2.2, booth S.14! If you do not have a ticket please contact us so we may invite you. In addition to that you find Prof. Dr. Niels Brabandt as speaker for the largest european HR research grouop - the HR Roundtable. We are looking forward to seeing you at the ZUKUNFT PERSONAL 2010 in Cologne. Even before the third quarter of 2010 has ended we announce the new class schedule for 2011 by today. The high demand made this step possible so soon. All classes are available nationwide as well as internationally. All classes do not take place on public or school holidays as well as on mondays or fridays. This guarantees you a maximum of business value and outcome. NB Networks has again been recommended officially on a national basis. The leading training portal SEMIGATOR announced this in their national mailing which has been published in leading newspapers like Handelsblatt and Wirtschaftwoche. Our status of RECOMMENDED PARTNER has again been underlined. In addition to that Prof. Dr. Niels Brabandt has again been listed as expert for LEADERSHIP training, coaching and consulting. We are proud to receive an award again and thank our clients for their trust in our quality and services. These quality and services we will continuously develop to even exceed the actual very high level. We are happy and proud to announce that an international enterprise assigned NB Networks for an international training project in the upcoming year 2011. In the course of this project all actual and future leaders will be trained to receive a consistent high level of expert knowledge. The product of "Expert Track" met exactly the requirements of the client. It does not only deliver a high amount of practical knowledge, it also provides an in-depth scientifical basis for direct use in practice. Due to this aspect the client decided to not only deliver this training throughout a national but on an internationally approached basis. "The intensive cooperation with national but especially with international universities have shown us that this is the main focus of the future market. Clients do not want the "storyteller only" version of training where more or less only self-made Best practices are presented. The scientific foundation in combination with a high amount of practical knowledge delivers todays best training quality. This was the number one reason why we have been chosen - we are happy and proud about this fact." said Prof. Dr. Niels Brabandt after having received the notice of assignment. Germanies largest Human Resources Forum now officially announced Prof. Dr. Niels Brabandt as speaker. All speaking events will take place during the fair ZUKUNFT PERSONAL on the fair ground in the city of Cologne (Messeplatz 1, 50679 Cologne). At the fair: Hall 2.1, Booth M.31, at the forum of the "HR Roundtable". If you have any quesions please do not hesitate to contact us at any time. Of course you will as well find us at the fair with our own booth. Our booth is located in Hall 2.2 at booth number S.14. These breaking news just reached us today: due to the very good pre-order numbers the publisher commited himself to a very quick second edition of both publications of NB Networks. Moreover it will be possible to order both publications for a discounted rate in course of the fair ZUKUNFT PERSONAL in Cologne. We are happy and proud to announce that Prof. Dr. Niels Brabandt has published two new book in course of his studies. Both publications will also be presented during the fair ZUKUNFT PERSONAL in Cologne. The first edition was sold out directly after the book has been available. The second edition will be published in the near future. Actually it is planned that the 2nd edition is available from beginning of september. As already known from last years Prof. Dr. Niels Brabandt as well as his company NB Networks will again be present at the largest central-european fair for Human Resource Development - the ZUKUNFT PERSONAL 2010 in Cologne. The fair will take place from October 12th until October 14th at the Cologne fair area. We are looking forward to welcome you again. You will find NB Networks in hall number 2.2 at the location S.14 with our own presentation, multiple Regional and Account Managers as well as the owner himself. Of course it is possible to make an own appointment just for you so you will have your own time to get a presentation of all our innovative products. Of course there will be numerous special fair offers again which will only be available on site at the fair. On all three days Prof. Dr. Niels Brabandt will be speaker and will present the resulty of newest studies. Afters speaking Prof. Dr. Niels Brabandt will of course personally be available for you for any questions, comments or further information. Getting direct access to the results of these studies in a written form will also be availbble for a discount rate as a special offer at the fair. You do not have a ticket for the fair already? Please do not hesitate to contact us or your Regional/Account Manager. We have the opportunity to give you free tickets for the fair. If you do now know your Regional our Account Managers name please contact us directly at info@nb-networks.com via e-mail. Since numerous yeard NB Networks is working finishing the project of a scientifically accredited Tool for a sustainable learning process. The main problem of most trainings ending with any kind of test or similar is that in most cases the knowledge transfer is only focussed on passing the exam. Right after the exam the acquired knowledge disappears as fast as is has been acquired. Here is the main delta which the HR department has to handle: one the one hand passing formal exams is an important part to prove the success of a class taken. On the other hand the transfer of knowledge to use the newly acquired skills in practice is definitely the more important aspect for the business. NB Networks therefore has developed "KnowledgePulse". This tool will make you able to continuously learn and sustainably acquire knowledge without even to interrupt your daily business work. The RSA has accredited this tool on the basis of the newest scientific level of knowledge and learning methods. By doing so the characteristics and the whole tool itself is the first of its kind worldwide. Of course this application may also be fully used for MicroLearning. Content may be adapted to companies needs and learning targets. The design may be fully adapted to the corporate design of your enterprise. The demand for the tool already is very high. Of course it will be no problem that we will make an appointment with you so you Account or Regional Manager will present this tool in a live environment at your company site. A detailed presentation of all possibilities will then be done to show you the full potential of this innovative tool. We are looking forward to getting into contact with you. NB Networks has been awarded again. The Semigator AG is the larges Portal in the central-european area for Training, Coaching and Consulting. Our company has now been chosen to be awarded again as recommended partner. The concept of bringing together scientific knowledge with a maximum of practice-orientation in addition to a minimum need of time and a maximum transfer of knowledge is more than successful and has now been awarded numerous times. We are very proud being awarded again. In more and more cases - especially in families in socially difficult situations - young people attend school without breakfast at all. The rest of their day normally is dominated by wrong and unhealthy food in any meal taken. The consequences for the learning process of elementary knowledge are extreme. NB Networks supports the "Familienschutzwerk" and the "Children kitchen" in Berlin. They intensively take care of children coming from these backgrounds and put strong emphasis and action on project which try to make free healthy food available in any public school. We also are an active part in this supporting process and hope for intensive additional help. NB Networks delivery of training, consulting and coaching has already been recommended in the past. The last magazines recommending NB Networks have been the "Handelsblatt" and the "Wirtschaftswoche". Both are leading magazines in the areas of economy and free enterprise. This month the magazines of "Creditreform" and "Personal" have underlined our quality by again recommending our services. The "Creditreform" is one of the leading magazines for corporate management where as the "Personal" is one of the most important magazines for HR in the german-speaking area. "The sustainable high rate of recommendations by our clients has shown that we are on the right way. At the end of the day the factor of quality is the number one factor which decides about success or failure of any service. Our continuous process of constant improvement as well as the feedback of our clients clearly show that we are continuing this way to even more raise our standard of quality." said General Manager Marcel Klemet directly after the announcement of the recommendation. Today the search for the right place for internships or dual studies is connected with enourmous efforts. There has been no clear central point for offerings and moreover the people who search had to go through big efforts to find the right offering. This has led to a loss of connection between the right offer and the right person. The innovative idea of schuelerkarriere.de is the first portal which shows a clear solution for this problem. Additional partners already joined for future support. "The idea of having a central point for offerings and interested persons shows enormous potential for us. Not only our efforts for searching and finding the right people for the right place but also our costs will reduce significantly in this important area of future investment." said Prof. Dr. Niels Brabandt after signing the partnership. Already since numerous years NB Networks is working internationally. One focus has always been on the so called "emerging markets". A number of scientific as well as socio-economically motivated projects brought us to the decision to be more present in these states. NB Networks will open two new location. These will be located in Egypt and Tanzania. By doing so NB Networks will have an even stronger focus on its sustainable international market approach which finds realisation in these new openings. Already in 2009 Prof. Dr. Niels Brabandt was asked to deliver coaching for the top referees of Hamburg at St. Peter-Ording. Again the Football association of Hamburg demanded for this coaching. This 1-day workshop was focused on "Personality and Behavior" which is one of the key aspects for success in the area of delivery professional referee services. The target audience this time has been the female top referees. "The workshop was very intensive and we had lots of very valuable discussions and feedback. It was great to see how intensively the attitude to work and improve the own results and personality was present all over the whole day." said Prof. Dr. Niels Brabandt after delivery of the workshop. In 2010 NB Networks will again be present at the larges HR fair in Germany - the ZUKUNFT PERSONAL 2010 in Cologne. The fair will be from October 12th until October 14th. In direct cooperation with HR Roundtable Prof. Dr. Niels Brabandt will again offer free Keynotes every day. The topics will be announced soon. All topics will be about actual trends and areas of HR and will be based on the results of newest scientific research. We are looking forward to seeing you in Cologne. Continuously optimzing our services to focus on our clients actual and future need is one our most important objectives. Delivering a high level of best practices together with newest scientific results is a strong basis for best results. We already cooperate with national and international institutions in different areas and are proud to be able to annouce that an additional partner is going to join us in our cooperation. Under leadership of Mr. Thomas Buck - who himself has intensive knowledge in the area of HR since years - the HR Roundtable will be a new cooperation partner of NB Networks. The cooperation will optimize the delivery of workshops and keynote events (e.g. our "Experts Day") not only on fairs but as well on a national as well as international basis for any regional location. We are looking forward to an intensive cooperation. During the end of 2009 the demand from our clients for our services raised tremendously. After opening numerous new locations we have shown that the demand of our client is still the one and only focus on our business. Our clients have now shown that the growth of demans has not reached its end. Due to this fact we are now opening new location in Moscow, Sao Paulo and Oman. All tendencies have shown that additional openings will take place in 2010 and we are looking forward to tailor all our actions to the needs of our clients. "The end of 2009 with its fast growing demands has been very challenging. We are very happy to know that the demand is still raising. This has now led to our new openings in 2010 which for sure have not been the last ones." said General Manager Marcel Klemet after announcement of the new openings. Our services in training and consultancy show an enormous trend for growth since years. Besides our knowledge in free enterprise our expertise in scientific study and work is now expanding as well. Today Prof. Dr. Niels Brabandt has been booked for workshops in Kiev and Moscow in september which will have a duration of a whole week. Representatives of Science and Economy will take part. The topics will cover sustainable leadership, Human Resources Development as well as motivational aspects. Besides the pure lecture additional workshops will be offered. "We are very proud that besides our economical cooperations the scientific networks as well show our continuous trend for global growth." said General Manager Marcel Klemet today. The fair "Personal 2010" was again a big success. Numerours attendees went to our workshops to intensively learn the newest information in the area of Human Resources and HR Development. At the end the leading portal HRM.de interviewed Prof. Dr. Niels Brabandt as the subject matter expert. We are very happy and proud that our expert knowledge has been valued. As in the years before NB Networks was again present at the fair "HR 2010". With multiple speaker session Prof. Dr. Niels Brabandt, owner of NB Networks, saw a great demand and was more than happy to see that even in times of so called "crisis" all companies still proactively invest in the development of their resources. "At the end of the fair we have now decided to even more be present at all fairs in the area of HR. The great demand of these days have shown us that the urgent need at the market makes us move quickly to the point that we now will act as an active partner on the market." said Prof. Dr. Niels Brabandt at the end of the fair in Stuttgart. On the 19th of April NB Networks again started the yearly HR EXPERTS DAY. HR Managers from all over Germany went to Bremen to take part at this event which presents the most news and interesting topics in the area of HR development and similar areas of knowledge. The feedback was 100% positives so NB Networks will continue with this event. On the 31st of May the next event will take place in Hamburg. We are happy and proud to announce that we now have opened a new and very special location. NB Networks just opened the location at the Frankfurt Internationl Fair Area. In this area NB Networks is now located in the Fair Tower which is 257 metres tall. We are now able to offer best services and best quality in an international top location in the center of this business area. Located at the 25th floor we also offer special services like Restaurants, banks and special security solution if needed as well as protected parking and a large shopping mall directly conected to our location - of course we offer our services 24 / 7! The expert of NB Networks are getting into their speaker position once more. 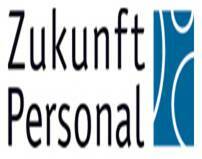 As it has been confirmed this week Prof. Dr. Niels Brabandt will be speaker at the ZUKUNFT PERSONAL in Stuttgart which is one of largest fair for Human Resources in Europe. During his speeches he will put his focus on two differen areas of Human Resources Management. Being speaker at fairs meanwhile already belongs to the standard service portfolio of NB Networks as we see a seriously rising demand which we appreciate very much and thank our clients for their trust in our knowledge and capabilities. After his tremendous successes from the very beginning we are proud to announce that the path of internal careers within NB Networks again made it possible to join the leadership forces from today. Martin Baschulewski will be the new regional manager for the northwestern area of Germany (Bremen). "I am happy and proud about this new task and the trust which our executives have given to me. My goals for the future will be to expand our market presence and to implement our professional concept in the regional economy of my area. The highly client- and practice-oriented services in the areas of Business Coaching & Consulting will maximize benefits for our clients. I am absolutely sure that my team and me will succeed to fulfil the wishes of our clients - especially in the actual phase of extreme raising demands in respect of quality and quantity in purchasing our services as well as our knowledge. A future expansion in staff in my opinion will definitely take place." said Martin Baschulewski directly after the announcement of NB Networks Executives. Steffen Lehrmann from today will focus his service on his role as Senior Account Manager. The high amount of demands from his clients as well as the complexity of all ongoing projects made it more than necessary that Steffen Lehrmann with his intensive amount of experience will focus on maximizing clients benefits. We are looking forward to his ongoing and future projects. NB Networks has now opened another 11 locations in Germany to strengthen its presence in the german-speaking areas once more. Besides opening new locations in the capital city and the major as well as largest cities NB Networks also opened new locations in Dresden and Nuremberg. "This step is the answer to the continuing growth of demand in the area of Soft, Business and People Skills. Especially our services in training, consultancy and coaching have shown us that we have to proactively continue our growth on the market to secure the highest quality available for our clients." said the leading management of NB Networks today. 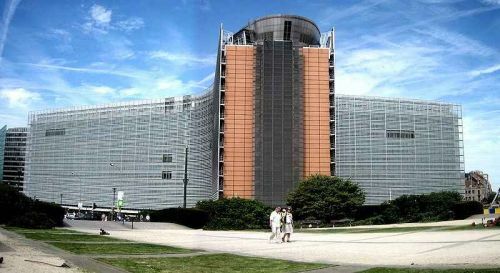 As it has been confirmed today Prof. Dr. Niels Brabandt will lead a series of workshops in Brussels at Berlaymont. Topics will focus on "Sustainable Leadership" and "Crisis Management & Communication". Sustainability will be the main focus of all workshops due to the fact that this aspect has been identified as one of the most critical success factors in the actual phase of ongoing project for now and in the future. Moreover a direct implementation and connection to real-world environment will be implemented directly within any workshop. We are looking forward to realizing this project and our future cooperations. The HANDELSBLATT - a leading germanwide economical company - and their partner SEMIGATOR - the internet portal responsible listing the best trainers, consultants and coaches, recommends Niels Brabandt. He ist listed as one of the leading personalities in the areas of management and leadership. The specialized areas and strengths mentioned show the depth and broadth in which NB Networks is able to deliver. "We are very happy and proud to be listed in one of Germanys most important economical newspapers." said Prof. Dr. Niels Brabandt today. Just some weeks after the year of 2010 has begun the ongoing expansion process forces us to take initative towards the next steps of expansion. Today NB Networks moved into the completely new and larger Main Office. The exclusive location at the Airport Business Center of course stays - this was a special wish of our travelling clients which we of course followed. In addition to these news of success we are happy to announce that a new and special team member has joined us. Mr. Martin Baluschewski is an experienced Sales and CRM professional and we are proud to have him on board at NB Networks. The very first reactions of our clients was absolutely positive without any exception. "With Mr. Baluschewski joining us we are proud to have a new professional on board here in Bremen. The already very high level of customer relationship management, customer service and satisfaction will surely now an even higher standard than we ever reached before." said Marcel Klemet directly after Martin Baluschewski started his work with NB Networks. We are very happy to be able to announce this expansion and thank our clients for their trust - we are looking forward to intensifying cooperations in the future. At the beginning of 2010 NB Netorks was able to successfully finish a worldwide expansion phase. The expansion which already was running since months has immediately shown positive client and market reactions. "The so called 'crisis' has harmed numerous enterprises. Most of them were led my management which followed a non-sustainable strategy since years. We are proud to announce that even after integrating the companies we acquired we have 3.7% more jobs in these companies than we had before when we signed the contract for taking them over. The positive reaction of the market and our clients tells us that we are going the right way with our strategy." said Prof. Dr. Niels Brabandt today. Since 2006 NB Networks offers high-quality Language Trainings. Up until the end of 2009 these have only been offered to a close circle of selected clients accompanied by a specialist team of Account Managers. "The continuously growing demand already made us think about taking additional steps toward the market in 2008. The again strongly growing tendency of booking in addition with our customer feedback of highly satisfied clients we now decided to take the deciding step. From the beginnin of 2010 the service of language training will now be offered openly on the market for all our clients. We are happy and proud to take this step and the additional expansion which has been realized during last months." said Prof. Dr. Niels Brabandt who himself has done state examination in the English language during his studies. From this moment on NB Networks is able to offer training in more than 40 languages. We are looking forward to starting these new and intensified cooperations with our existing and new clients. We are more than proud to announce that in this very moment Hajo Klemmer with his team starts his work as Regional Manager in the are of Hamburg. He will be responsible with his team to develop this area and as well will be a new member of the project steering commitee for our new and existing long-term projects. Hajo Klemmer comes from a background of intensive experience in customer service-oriented architectures and services which makes him the best choice possible for this position. "Hajo Klemmer has been on our Number One candidate for this job and we are happy to have him aboard." said Prof. Dr. Niels Brabandt at the beginning of 2010. "I am looking forward to this new task of implementing and strengthening our market position at the economically important and strong area of Hamburg. Customer service and orientation will always be our focus: tailormade and need-oriented solutions will have highest priorities. I am more than convinced that NB Networks as high-class and flexible company with sustainably grow on the market supported by a customer satisfaction rate of 99.997% in respect of training and consultancy services. After having led multiple and numerous service centers as well as building up the IT department of a recruiting and consultancy company I am looking forward to return to the area of Training, Coaching and Consulting. I am as well looking forward to work together with Prof. Dr. Niels Brabandt and his competent team which is known for highest standards in service - this is known to me already from our past cooperations." said Hajo Klemmer today. The high demand of our services has resulted into immediate action of NB Networks. With signing a large real estate expansion contract NB Networks engages the market proactively. "The high number of assignments of our clients toward our services has shown us that the demand even outside the german-speaking boundaries is huge. With our expansion we are now already able to deliver from january 1st of the new year 2010 anywhere our clients have their offices and thereby have a tailormade solution for their needs." said General Manager Marcel Klemet after Prof. Dr. Niels Brabandt signed the contract. "...reliability and professionality of NB Networks have been the deciding factor" it was said in the explanation of the decision of the globally working client when giving their yearly budget for whole Europe to us. We are more than happy about this decision. "The active decision against a low-price strategy but instead focussing on high-quality work has been the deciding advantage in comparison to our market competitors." said Prof. Dr. Niels Brabandt directly after having received the news of this decision about winning the yearly budget already in advance of the upcoming year 2010. "A very special Trainer" - this had been the headline of the actual German Referee Newspaper. This newspaper is the official organ for Referees in whole Germany. "A practice-oriented and interesting Workshop about how the referee is seen in public and which possibilities you have to influence this reception and image. This was underlined by videos from practice in which the knowledge learned may be directly applied including hints and tips for improvement." A special focus in the report also has been put on the Personality Coaching. At the end the engagement of Prof. Dr. Niels Brabandt in general is described. "Since numerous years Niels Brabandt is Sponsor of the VSA-Referee-Group and meanwhile also explicit sponsor for the Talent Coaching Group. Besides equipping referees with training suits and Polo-Shirts the former VSA-Referee has now also begun to train and educate talented referee with his expert knowledge.". "I am proud and happy about the continuously growing cooperation with the VSA and hope to continuously intensify this cooperation even more in the upcoming year 2010." said Prof. Dr. Niels Brabandt directly after the report has been published. Just a few weeks after the last expansion the Hanseatic League has decided to intensify the cooperation with NB Networks in the future in numerous areas. Large programs in coaching and the sector of IT already have been initiated. The major goal of a quick and practice-oriented solution has been the focus of these project. "This is a strategic steps for both parties involved - especially concerning the new position we just created for especially this case and which we will announce at the beginning of 2010." said General Manager Marcel Klemet directly after having successfully finished all agreements. Just a short time ago we announced that NB Networks received the largest project in company history. Since the beginning of this project the feedback of all participants has been more than great (9.998 out of 10 on the scale of satisfaction). This led to the point that project has now been extended with a factor of +150%. This shows that NB Networks has the right concepts at the right time which leads to the right solution. "We are more than happy about this decision which will mean definitely one thing - NB Networks will expand over the german-speaking borders before the end of 2009." said Prof. Dr. Niels Brabandt after having received the news. Consequently generating synergies is one of the most important key factory of success in todays business. Since some years NB Networks already cooperates with a national and international working consulting company. Today we announce that NB Networks bought 35.7% for holding major shares of this partner consulting company. For both parties of the long-lasting cooperation this step has been nothing more than the consequent ongoing development of their cooperation. "It was just a matter of time when both parties will see the synergy which draws immediately from this now even more intensive cooperation and take further steps which now has happened. We are very happy about the new developments and welcome or "new 312" employees to our additional 71 people who work together with us since numerous years." said Prof. Dr. Niels Brabandt directly after both parties agreed to and signed the contract. Since the foundation of NB Networks one of the main goals has always been to handle Human Resources sustainably. A part of this strategy is the possibility of career development within NB Networks for all employees which we consider as an obligatory entrepreneurial standard. Throughout this strategy we are proud to announce that Steffen Lehrmann accepted our offer to become Regional Manager of the area of Bremen. Steffen Lehrmann is one of the most successful and most senior sales persons in our company. His commitment to our goals and the consequent realisation of exceeding customer expectations made him the number one person for this job. "We are happy and proud that Mr. Lehrmann decided to take even more responsibility at NB Networks and we are looking forward to our future cooperation." said Prof. Dr. Niels Brabandt after contract signature. "I am proud of now being an even more intensive part of NB Networks and to contribute to our success." said Steffen Lehrmann directly after having announced his decision. Today NB Networks announces the start of large international social project. Throughout the cooperation in soccer Prof. Dr. Niels Brabandt did not only get in touch with sport itself but also with the surroundings. This did not only happen in Russia but also in Kyrgyzstan. Niels Brabandt became an impression of science in this country and saw that there must done a lot for improvement. From now on we intensively support scientific education in this country throught the financial means of NB Networks. "Our situation is like paradise - especially our working situationin science. We often miss to look into other areas of the world where we may seek for further improvement and help these parts of the world. Here we want to start. We want to initiate best possible improvements of the actual status quo." said Niels Brabandt at the project-kick-off today. The project will take place in nearly every larger country in Europe as well as the United States. "It is fascinating which synergies may be reached by the means of 71 internal and 312 external employees. Throughout this cooperation - which was always based on the idea of provided leadership in practice - we succeeded in developing a great project. The fact that this project exactly matched the clients needs shows us that we are on the right way to excellence." said Niels Brabandt directly after getting to know that NB Networks won the bid. The whole project is financed with a double digit million-euro-budget. Due to the fact that already the actual year is a great success we decided to go further with expansions of NB Networks. Marcel Klement and Prof. Dr. Niels Brabandt have just signed new contracts to emphasize and support the ongoing development in this direction. 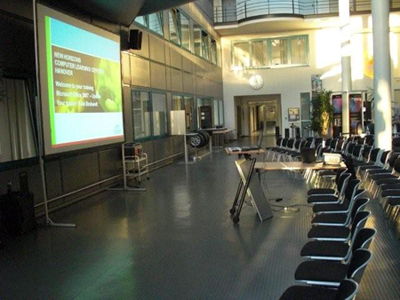 In Bremen a new office will be opened directly located in the Airport Business Center Bremen. Hereby we support to be located in the best place in Bremen not only for local but also for international clients - especially on management level and above. At the beginng of 2010 also in Hamburg new offices will be opened. The new head office will be located at the "Fleethof" in the hear of the city. This location will be support by three additional training facilities located at the "Spitalerhof", the "Chilehaus" and at the "Valentinskamp". All locations are connected to all possible means of transportation. Further expansions are already planned and will be communicated as soon as possible. After several meeting, a clear and defined set of needs which has been found out and the presentation of a concept for optimization in respect to the business a large leading institute in Hamburg decided to implement the ITIL standard with consultancy by NB Networks. Until the end of this year all foundations will be set. Until the end of the first quarter of 2010 following appointments already have been made to assure a continuous process of optimization. At the end the whole concept of ITIL v3 will be implemented in practice. All employees will be certified for ITIL Foundations. All employees which need or should provide any kind of leadership work will be certified up to the level of the ITIL v3 Expert. We are proud to announce that a large leadership project has been given to NB Networks. Project Manager will be Prof. Dr. Niels Brabandt himself. The main tasks besides reorganization of all departments will be training of managers and other leadership-providing persons. This will be done with a special focus on sustainability, authenticity and reliability. The whole project will take place in reoccuring phases over 6 months. A prolongation for another six months to secure continuous optimization has already been granted. During earlier News we already mentioned the coaching process which took place with Niels Brabandt and the talented group of referees. Now this has been taken to a higher level and the Football association of Hamburg officially reports about this event on their website as it may be seen below (German only). Am Freitagnachmittag machten sich die Mitglieder des Hamburger VSA-Förderkaders auf den Weg zu einem Wochenendlehrgang nach St. Peter-Ording. Am Lehrgang nahmen neben dem Leiter des Förderkaders, Christian Soltow, auch Lehrstabsmitglied Frank Behrmann sowie Personal-Coach und Ex-VSA-Schiedsrichter Niels Brabandt teil. Als Quartier wurde der „Campus Nordsee“ bezogen. Noch am Abend wurde die aktuelle Lehr-DVD des DFB angeschaut und die geforderte einheitliche Regelauslegung der kniffligen Szenen im Gruppengespräch erarbeitet. Den Abschluss des Abends bildete ein ausgelassenes Fußballspiel der Teilnehmer in der Sporthalle auf dem Gelände. Den Samstagvormittag gestaltete Niels mit einem praxisnahen und sehr interessanten Vortrag über die Wahrnehmung des Schiedsrichters in der Öffentlichkeit und die eigenen Möglichkeiten, auf diese Wahrnehmung Einfluss zu nehmen. Verdeutlicht wurde dies anhand von Videosequenzen aus Spielszenen, anhand derer die Außendarstellung des Schiedsrichters besprochen und Verbesserungsmöglichkeiten aufgezeigt wurden. Am Nachmittag wurde das Persönlichkeitstraining in der Praxis fortgesetzt – im Hochseilgarten TAkelageNAturGArten (TANAGA) in St.Peter-Ording. Hier wurden mit dem Motivations- und dipl. Mentaltrainer Volker Crantz teambildende Maßnahmen durchgeführt. In luftiger Höhe von acht Metern mussten die Teilnehmer in schwierigen Übungen an und auch über ihre Grenzen gehen, wobei auch stets der Teamgedanke im Vordergrund stand. Der Nachmittag dort hat alle begeistert und das Wir-Gefühl der Mitglieder gesteigert. Den Abend übernahm wieder Niels, der die Teilnehmer einen Fragebogen zum Thema Ausprägung von Persönlichkeitsmerkmalen (z.B. Konfliktfähigkeit und Verantwortungsbewusstsein) ausfüllen ließ. Mit diesem Test können die Eigenschaften der Schiedsrichter in greifbaren Zahlen dargestellt werden. Zudem sind zentrale Charakteristika für die Schiedsrichter-Persönlichkeit ausgearbeitet worden, welche klar messbar ausgewertet werden können. Das Resultat sind klare Kennzahlen, welche die nächsten Coaching- und Entwicklungs-Schritte klar aufzeigen und somit ein „Stochern und Herumcoachen im Nebel“ ohne klar vorhandene Zielsetzung verhindern. Anschließend folgte eine Regelarbeit mit den Schwerpunkten Strafstoß und Strafgewalt des Schiedsrichters. Den Abschluss bildete das gemeinsame Anschauen des ZDF-Sportstudios mit den Bundesligapartien des Tages. Am nächsten Morgen wurden die Erkenntnisse aus den ersten Beobachtungen der Saison besprochen und häufige Fehlerquellen analysiert. Nach dem Feedback und einem Lehrgangsresümee aller Teilnehmer erfolgte am Sonntagmittag die Rückreise nach Hamburg. Primäres Ziel dieses Lehrganges war die Persönlichkeitsentwicklung unserer Hamburger Spitzennachwuchsschiedsrichter. Gewöhnlich befassen sich Schiedsrichter bei Lehrgängen mit Regelkunde sowie Auslegung, Sinn und Geist von Anweisungen. Je höher ein Schiedsrichter aber in einer Klasse mit seiner Laufbahn amtiert, umso eher sind diese Dinge verstanden. Andere Bereiche bleiben größtenteils komplett unbeleuchtet: hierzu zählt vor allem der Bereich Persönlichkeit. Zur Persönlichkeit zählen neben dem reinen Auftreten auch die mentale Fitness, mentale Stärke und Stressresistenz sowie der richtige Umgang mit Entscheidungen sowie Konflikten. Jedem ist bekannt, dass dies des Schiedsrichters täglich Brot auf dem Platz ist, und dennoch bleibt es oft bei wagen Aussagen wie „arbeitet an eurer Persönlichkeit“. Dies ist gerade für Nachwuchs-Schiedsrichter ein Ratschlag, welche nicht greifbar ist. Was soll ich konkret tun? Warum werde ich von Spielern so wahrgenommen wie ich wahrgenommen werde? Warum ist im Spiel X die Situation Y geschehen und ich habe diese nicht mehr kontrollieren können? Wie gehe ich mit externer Kritik um und wie stelle bzw. verarbeite ich Kritik an mich selbst? Dies sind Fragen, welche oft bewusst oder unbewusst auftreten und kaum bzw. gar nicht beantwortet werden können. Hier besteht der Ansatzpunkt, warum Niels Brabandt bei diesem Lehrgang hinzugezogen wurde. Der mittlerweile dreißigjährige war bis vor einigen Jahren selbst Schiedsrichter im VSA Hamburg, bevor es ihn beruflich auf eine mobile Position zog und er eine Laufbahn in der freien Wirtschaft begann. Diese mündete in der Selbständigkeit mit einer nun eigenen Firma mit 71 Mitarbeitern. Seine Firma NB Networks betreut Kunden in den Bereichen Leadership, Business Development & Franchising, Marketing & Sales sowie IT. Des Weiteren befindet sich seine Doktorarbeit an der Harvard University im Finalstadium (Thema „Organizational Behavior and Leadership“). In diesem Zusammenhang wurde auch der beschriebene Fragebogen entworfen. Als Dozent ist er ferner an der HSBA (Hamburg School of Business Administration), einer der renommiertesten privaten Hochschulen Deutschlands, tätig. Seit mehreren Jahren bereits betreibt seine Firma Sponsoring des VSA Hamburg und nun auch explizit des VSA -Förderkaders. Neben der Ausstattung mit Trainingsanzügen und Polo-Shirts hat er begonnen, auch sein erworbenes Know-How für die Schiedsrichterei weiterzugeben. In der Hoffnung auf eine weiterhin gute Zusammenarbeit bedankt sich VSA-Hamburg für Niels Engagement. 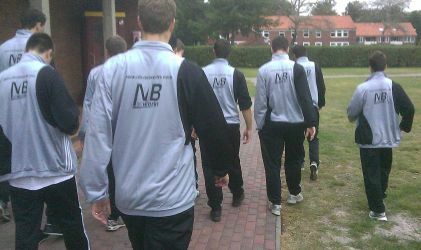 As mentioned in our news before some weeks ago Niels Brabandt, owner of NB Networks, has spent a weekend with talented referees in St. Peter-Ording. This topic will now also be rolled out on a broader basis. Request from other parts of the country already have arrived at our offices and moreover even press appeared to be seriously interested. The area of "Personal Coaching" makes it possible for anybody taking part in it (and this is not limited to the job as a referee) to see any character traits as clear number. The test used here was developed by Niels Brabandt in cooperation with Harvard University. With making character traits measurable it is now possible to get from the ambiguous and in most cases arbitrarily used "work on your personality and leadership skills" to a clear set of strengths and weaknesses. This set leads to a clear and unambiguous list of tasks and character traits to work on. A concrete model to develop and to work on the own personality may then be put up which makes the Coaching process transparent for anybody taking part in it. Our expansion during the last weeks has resulted in very positive reactions by our clients. This shows us that we going the right way. Hereby we announce that - based on our client feedback - we proactivey already engaged next steps for further expansions. This proactive action assures that all training and consulting demands in the future will be handled professionally as known. With Steffen Lehrmann and Marcel Lehrmann we are happy to have two experienced sales professionals on board. Client feedback again has been more than positive - we are happy and proud to see this. We are looking forward to our future cooperations with all our clients. We are happy and proud to announce a new cooperation. Dr. Bernd Bitzer of INPEX CONSULT and Niels Brabandt of NB NETWORKS saw numerous chances for additional client value. Throughout this moment of chance both now agreed to cooperate. The cooperation starts from now on and we are looking forward to getting started. Just directly after announcing upcoming news NB Networks has visited the STUTTGARTER KNOWLEDGE FORUM. With focussing on Management, Leadership and Sales numerous very positive client feedbacks of existing and new clients were again realized. At this moment we are proud to announce that a further expansion in this area will follow soon. Any News concerning this will follow until the end of this year. At the beginning of October NB Networks has been present as the first Motivation Fair in Germany. The "Motivation Expo" was one more milestone for us to focus on our product portfolio and the feedback we received from our clients was unambiguous. Further expansions in these areas are planned. News will follow soon. During an intensive 3-Day-Weekend-Workshop with the most talented referees an intensive coaching process has been initiated. Feedback of all participants has been 100% positive - a more intensive cooperation is planned. Since numerous years NB Networks is sponsoring different branches. We now decided to continue the sponsoring of the most talented referees in Northern Germany. With the so calles "Coaching Group" we are happy to continue a cooperation on a performance-oriented level. We are looking forward to the future cooperation. Just some weeks after the international Conference in Las Vegas and the Workshops in Chicago all results of the customer feedback have been evaluated. This shows us that our international content is widely accepted as well. We will continue with our strategy and will continuously deliver the excellence which is known from us. We enhanced our website. When clicking on "Dates" you will now also find all our open enrollment classes. We implemented this feature due to the continuous client need. The compete listing will show all classes including all topics. Moreover the status of the class is also displayed, showing you if there are still seats available or not. You are missing a class? You may like to ask for a date, a class or similar? Do not hesitate to contact our General Manager Marcel Klemet via Marcel.Klemet@NB-Networks.com ! We are more than proud to announce that today the new General Manager, Marcel Klemet, is starting with us. Marcel Klemet has shown outstanding expertise and experience in industry, customer service, sales as well as controlling. These facts give him the opportunity to be able to strengthen and accelerate our success and expansion even further. We are happy to have him in our team from now on! Since nearly 10 years now NB Networks deliver consulting to the worldwide largest Microsoft Gold Partner for Learning Solutions. In various aspects of the business we cooperate successfully and this has now also led to international awards during conference in Las Vegas. Moreover 4 instructor have been awarded for their worldwide outstanding quality. Among these instructors Niels Brabandt, owner of NB Networks, received the award as worldwide best instructor the 4th year in a row. Wir are more than proud to announce that on August 15th in Las Vegas, Nevada, USA, Niels Brabandt has been awarded by the worldwide largest Microsoft Gold Partner for Learning Solutions as Worldwide Best Instructor. This now has been the fourth time in a row. After more than 1.400 client evaluations the average score has been 8.997 out of the maximum of 9 points. We thank our clients who made this possible and we are looking forward to our future cooperation. Just some days before the International Conference in Las Vegas start we are happy and proud to anounce a repeated success and award which has just been announced to us. During the last month our customers scored the quality of our training with a 9.0 on a scale from 1 to 9. We are even more happy about this fact because it shows that the way of delivering highest quality is more than valued by our customers. We are looking forward to the future in partnership with our client and of course to the award decision during the International Conference in Las Vegas which will take place in the near future. We are proud to announce that a new expansion is going to start in August 2009. It is not only that we are opening a new project office. In addition a new General Manager will be in place to be responsible for all running and new projects as well as specialized and tailormade client solutions. This new role is the reaction concerning the ongoing growth within NB Networks and the wish of our clients to be able to integrate us even more into their processes in continous strive for best solutions to their business needs. Thank your very much to all our clients for the trust given. We are looking forward to the cooperation in the future. Additional information will be posted during the upcoming month. It has been already weeks ago when Niels Brabandt, owner of NB Networks, has been booked as speaker to lead a Breakout Session during World Conference of the worldwide largest Microsoft Gold Partner for Learning Solutions. A special session concerning program implementation will be led by him and this definitely is already confirmed. Frank Perez, Vice President of Learning & Development, now has suggested Niels Brabandt for an additional session. The topic of this session will be "How to reach maximum client satisfaction" and the extended booking of Niels Brabandt already has been confirmed. The session will be the largest one during the whole World Conference. We thank our clients who made all this possible. Due to this face we are from now on able to deliver ITIL training, consultancy and coaching. We are happy and proud to extend our portfolio in this area. We also want to thank our clients how already made the first bookings before the certification process had even been finished. As already told in the area of "Publications" Niels Brabandt, owner of NB Networks, has written on the book "Besser mit Weiterbildung". After publishing this detailed description the book is now available and may be bought from now on. We are very thankful for any bought book! Soccer is one of the most known sports for having the referee unwillingly in the center of attention. Within less than seconds decision do not only have to be made. They have to communicated, transported and in most cases they must be "sold". The aspect of Coaching is a critical factor of success in this case. Niels Brabandt, owner of NB Networks, has been awarded multiple times for his delivery in these areas of knowledge and his workshops. Moreover he has been and still is a referee in soccer by himself. In addition to that he has been member of the national selection of the best referees before starting his own business. Nevertheless contact to the German Soccer Federation (in this case the VSA) has never been cut off. For the first time a workshop during a whole weekend will take place which in which Niels Brabandt will lead the training and coaching for all referess. This is not a one-time-workshop but will be a consistent process of coaching for measurable results and sustainable growth in quality. The just published book "Besser durch Weiterbildung" in which Niels Brabandt describes how training, coaching and consulting may be led to a measurable and sustainable success is now on the way to be even more promoted than expected. Already before the book is officially published to well known go!-academy recommends this book within their actual newsletter. We are looking forward to numerous readers. In 2009 Niels Brabandt, the owner of NB Networks, educated 11 instructors during the intensive training track to become a specialist in delivery of training. The worldwide largest Microsoft Gold Partner for Learning solutions booked Niels Brabandt for this training due to the fact that the quality of training has to be outstanding to succeed in a competitive market in which a six digit number of trainers work. Meanwhile the "Short List Top 25 worldwide" has been announced and four instructors as well as Niels Brabandt himself have been nominated. The final ranking will be announced during International Conference in Las Vegas in August. We are very proud of this success and are looking forward to seeing the final rankings soon. Once more our clients evaluated our delivery of service. This led again to a worldwide award for Niels Brabandt, owner of NB Networks. The company KnowledgeAdvisors has the task to again evaluate the delivery of all services from a neutral point of view. This result is published in a worldwide ranking which shows us again as the number one. We are proud to be able to announce this repeated success. Moreover we again want to thank all our clients for their trust in our services. At the beginning of 2009 we delivered consultancy for 25 locations of the worldwide largest Microsoft Gold Partner for Learning Solutions. The goal of this consultancy was to implement a new learning system, to dominante the market throughout this new Unique Selling Proposition and to grow profits. After 6 months of being in practice it now came to a final report containing the results of consultancy. The final report has drawn the following numbers: 21 out of 25 locations doubled or tripled revenue and profit by using the new learning system. The "lowest" growth rate has been calculated with 42%. As a consequence of this success Niels Brabandt, owner of NB Networks, has been invited to host a Breakout Session during International Conference in Las Vegas. This conference will be in August of this year and the session will be titled "Mentored Learning Heroes Amongst Us". Besides giving insights of how to access the market, Niels Brabandt will also provide concrete Best Practices for the audience. The quality of our work has been proven one more time - we are looking forward to starting the next upcoming projects. After months of work it is now for sure: the first book will be published! In times when budgets were cut down it is even more important that any training is tailored directly to the need. A special focus on the aspect of how to realize controlling in this area is a key aspect for success of any training delivered. As the expert in this subject matter Niels Brabandt, owner of NB Networks, wrote the final chapter in which it is described how to be able to lead any training event to a sustainable and measureable success. Additionl information may be found at http://www.besser.trainerbank.de ! Additionally we of course are open and available for all questions which may arise. Starting new partnerships, implementing new products, establishing expansion with the target of dominate the market. These were the key elements of a consultancy project with has been given to us. One year before the CISCO partnership program has been successfully implemented. We are proud to announce that only one year after implementation the award of CISCO PARTNER OF THE YEAR has been won by our client. The award was presented in the USA and directly after winning this award an additional remarkable boost of revenue happened. This makes the clients' CISCO business even more sustainable. I want to thank all clients for the consistenly great feedback. I am looking forward to continuing cooperation. March 2009 was the time when I have been book as a speaker and for active sales during the IT fair of CeBit 2009. The event was a big success and the worldwide largest Microsoft Gold Partner for Learning solutions was more than satisfied. Due to this fact the overall success has now again been mentioned in the worldwide newsletter. Working as Trainer, Consultant and Coach of course means that quality of service delivered is monitored frequently throughout the means of audits. The results of these audits are shown by a number starting by 1 (=extremely weak) and ending by 9 (=outstanding). The result is calculated by feedback of all clients which have been serviced throughout a complex process of questioning. I am proud to announce that the quality audit ended with a score of 9.0 which means that the maximum amount of points possible has been reached. One of the worldwide largest financial auditing companies is actually planning to implement latest cutting-edge Microsoft technology. During special intensive workshops the new features, best practices and of course best strategy was not only shown but planned to detail for reality rollout. I am proud to announce that I have also now been booked to deliver these workshops for the area of London. Normally this is done by a local vendor but the strategical decision made it possible to book me in this case. During the last week of May I will be in London for the whole week. After that it is planned to start the rollout in the worldwide company network. Nominated for worldwide Award in Las Vegas, Nevada, USA! Just some moments ago I received news. I am again nominated to take part in this years award ceremony for possibly becoming the worldwide best Instructor / Mentor / Consultant. I am more than happy that delivery of my work again is so much appreciated. I am even more happy and looking forward to being at this event after getting to know where it will take place. The location will be “The Venetian” in Las Vegas, Nevada, USA – due to this fact it will be the largest event of our whole business year. Again I have been awarded twice. The evaluations of all clients came to the result that again both criteria have been met the most possible extent. First I am awarded for delivering the largest quantity of training. Second - and this is much more important to me - I have been awarded again for best quality in training. Due to these facts I have been awarded again as worldwide best instructor in this month. I want to thank all my clients for their trust and their cooperation. I am looking forward to working even more intensively together. One thing I want to mention in particular: a fax arrived at one of my clients for which I deliver training pretty frequently. The client wrote on the fax that the wish to have especially me as the instructor for their training. This makes me even more proud and I want to say thank you again. After being booked as a Speaker and for Sales during the international IT fair "CeBit" in Hanover the feedback now is more than positive. Numerous new clients and contacts were made. In addition to that also existing clients were fascinated by the new products and the quality of training which has been delivered over the years and also during CeBit for some small breakout session. For the fair "Future HR 2009" which will from September 22nd to 24th I am already booked. I am looking forward to seeing you there again - or of course hopefully even earlier. The worldwide largest Microsoft Gold Partner for Learning Solutions again decided to update their Train-The-Trainer skills. This time the focus has been set to methodology, didactica means and performane-oriented training methods. In this training I again focused in science and practice of didactics, training and education. Especially the new method of making the didactical quality of a training measurable has been a tremendous success. It is for sure that this has not been the last training session concerning this topic. During the end of march 8 instructors succeeded in delivering the video exam for the CTT+ exam. The CTT+ exam is the worldwide only exam to prode didactical skills. Thanks a lot for the great training during the last day. I hope that one day I will be able to deliver the same quality of training as you do for my Trainees." I am looking forward to my next Train-The-Trainer class which will be at the end of may in Munich. One of the quickest success in my career was now realised at the worldwide largest Microsoft Gold Partner for Learning Solutions. Just 5 business hours after delivery of training the first sales was made in the specific area which has been trained. Sustainable success after TTT - repeated! The TTT which I delivered in january in Cologne was a big success. Right after training the location was ranked in the top 25 CPLS locations worldwide. This success has now continuously grown. During last month Cologne has been ranked number three CPLS center worldwide. In addition Cologne was ranked number 1 center networkwide. The rate of clients which have been very satisfied was 100%. On a monthly basis all instructors, trainers, coaches, consultants etc. are evaluated. The top 10 in this overall evaluation are shown in a worldwide listing. The range of possible score starts from 1 (worst) and ends with the score of 9 (best). Each client answers 27 question concerning every training, coaching and/or consultancy event. This month I have been awarded double. First I was awarded for being the most active listed person with 308 evaluations by the client. More important is that I have been awarded again for best quality (9.0 overall). I want to thank again all clients for their trust. I am looking forward to being an active part in our future cooperation. In 2009 the worldwide largest Microsoft Gold Partner for Learning Solutions decided not to be present at one of the Microsoft Partner booths. The idea of being presented by an own booth and booking me as being resposible as a speaker and for sales was created at the beginning of this year. It came out to be the most successful CeBit ever. Joern Oelze (CEO Germany, Switzerland and Austria) said the CeBit 2009 was "a great outcome and a big success plus a true win for our corporate image". Nicola Stelling (Head of Marketing Germany, Switzerland, Austria) meant that "it was a really great CeBit and great show of you - thanks a lot, Niels". The results were impressive: more qualified leads were created per day than during the last years throught the whole fair. Just a few weeks ago I was book as speaker at the first national staff conference of the worldwide largest Microsoft Gold Partner for Learning Solutions. One goal of the workshops I was leading there was to achieve sustainable growth in quality. Throughout interactive seminars, workshops and classes we worked through the Status Quo to concrete points of action which had to be put into action as soon as possible. Some weeks after this training / consulting we now see that sustainabe growth is noticed. One location was already able to become number two in the internal network and number six worldwide in the overall network in delivering quality. I am very happy and proud that all changes worked out so well and moreover that these concrete changes have been followed up by local management without exceptions. I am a referee myself since years. Throughout this experience I know how important mental and motivational aspects in this sport are. Correct appearance, personality and the possibility to control any situation are the key aspects of success. In Hamburg new ways of coaching and mentoring will now be started. Christian Soltow (former DFB/FIFA) agreed on a concept to drive the level of performance in the area to the next level. This training will be especially focussed on the best of the best referees who will have the future opportunity to qualify for the professional leagues. Thank you very much for trusting me in this very sensitive area of mentoring and coaching. I am looking forward to developing the whole to a complete level of performance in september 2009. One of the most important aspect of management overall mentioned it the fact of "sustainability". In my role as Training & Implementation Manager of the worldwide largest Microsoft Gold Partner for Learning Solutions I delivered special customized training for all Trainers in the location of Cologne. The training took three complete days and measureable results were a consequence of it. Directly after training the client satifsfactory rate went so high that in January 2009 the location of Cologne was ranked number 2 worldwide inside the network of Microsofts largest Gold Partner for Learning Solutions. The overall rating wordwide ranked Cologne on 6! The own reliability as Trainer, Coach, Mentor and especially as a manager relies heavily on the factor of being able to deliver measureable results by yourself. A key focus of my work always is to underline that I am not only able to manage resources to perform but also to perform by myself. The following statistics show that in Januar 2009 I have been scored by 308 client evaluations. In total I have been ranked number 1 worldwide for quality and quantity in training for the worldwide largest Microsoft Gold Partner for Learning solutions. As the worldwide largest Microsoft Gold Partner for Learning Solutions announced today two project of me were specially awarded. In first case I have been the mentor and speaker for multiple groups of more than 500 people during a ciritical process of change in company software. In second case I have been awarded - and this is the moment were I want to thank all clients - for my training in Decembre 2008. As evaluations have shown I have been awarded as worldwide best instructor again for my training in December 2008. The awards have been announced by Michael Smith (Director of Europe) and Darius Shey (Group Vide President International). Both are in charge for strategical europeanwide and worldwide decision for the worldwide largest Microsoft Gold Partner for Learning Solutions. As Training & Implementation Manager for the worldwide largest Micrsofoft Partner for Learning Solutions I am responsible for leading all location in Germany, Austria and Switzerland. As known the key factor of success is to get loyal and committed employees within your company. Establising an open and honest culture was one of our key initiatives in the past. We now get awarded to be a "Great Place to Work" and ranked number 31 in whole Germany. This official and nationwide award shows me that our strategy has been right and we will have to work on the fact that this culture stays with us. On february 13th the worldwide largest Microsoft Partner for Learning Solutions booked me to support his location in Berlin. The focus has been put on Training Delivery & Quality as well as Marketing & Sales. In two very intensive workshops the key areas have been identified and will be optimized from now on. The next day for support will be soon so the key areas of growth have been taken into immediate interaction for optimization. The worldwide largest Microsoft Gold Partner for Learning Solutions booked me for training their own instructor. We did not only have a great training, we already scheduled the next TTT class at the end of march. The demand for qualified TTT classes is very high at the moment so I am looking forward to being part of the next trainings. During last month six new instructors started their career. They joined the TTT (Train The Trainer) class in Dortmund to become accredited as didactical experts. The certification named CTT+ (Certified Technical Trainer) is the only certificatio worlwide to demonstrate didactical expertise without being dependent on a single vendor. The CTT+ standard is set be CompTIA, the worldwide largest joint-venture of multi-billion-dollar companies throughout all branches to secure a high level of expertise for the delivery of knowledge. All six instructors now successfully completed the CTT+ / Train The Trainer class. This year the worldwide largest Microsoft Partner for Learning solutions launched his first staff conference for all employees in Germany, Switzerland and Austria. The conference took place in Berlin and I have been invited as a speaker. The aspects of "how to deliver training" as well as "how to sell" were the main focuses of this event in which I was able to deliver a 90-minute session to all instructors and interested staff members. Further ongoing project are not only planned but already booked. In Berlin the process of change and the goal of growing quality in sales, training as well as operations will continue in february. I will be in Berlin to train the whole staff. Further action in this ongoing project is already planned. The monthly ranking of all instructors shows the worldwide elite on training. The worldwide "Top 10"
next projects in the near future. trainers. After an intensive workshop these instructors are now ready to go for the real-world experience. 2009 started as successful as 2008 ended. expectations and motivation for the upcoming year. Beginning a new successful business year in 2009 my new website www.nb-networks.com is now online. Any Feedback is greatly appreciated, at any time. The second time after another Niels Brabandt has been awarded as worldwide best instructor. The award was presented to him during International Conference in Dallas, Texas, USA.